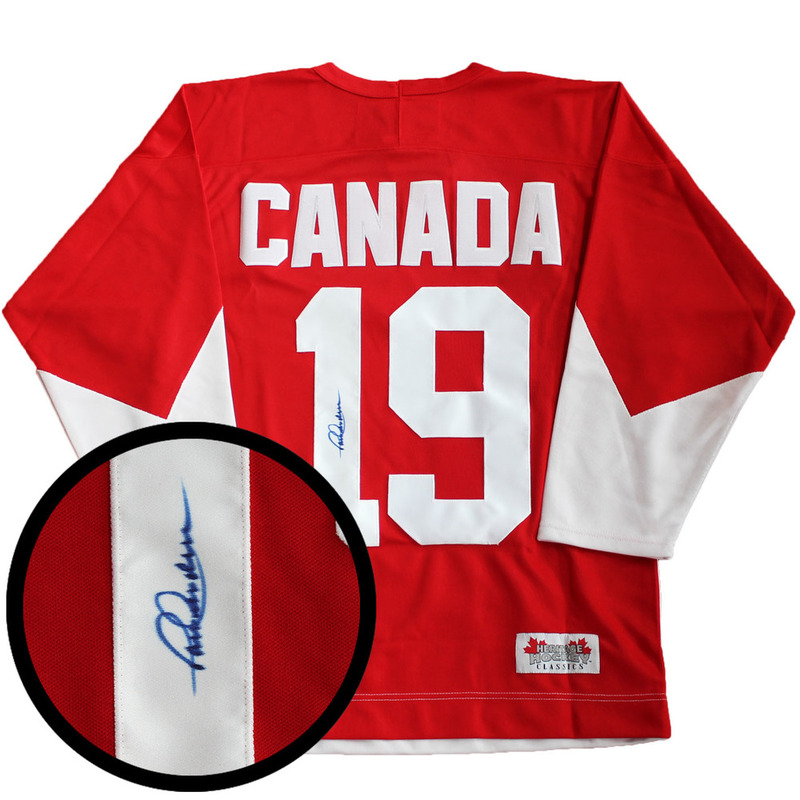 This jersey was personally signed by Canadian, Paul Henderson. Henderson earned a spot on the 1972 Summit Series team when he scored a career high 38 goal. Henderson was playing a good series for Canada but was on the bench during the final game of the summit series, he convinced coach Sinden to send him out and after receiving the puck in front of the net, Henderson buried the puck in the back of the net to give Canada a 6-5 lead with 34s left in the game. Henderson scored the goal to win the game and the series. The jersey is accompanied with a Frameworth hologram and COA to ensure the authenticity of the autograph.